IT IS that time again when we face a depleted weekend of football due to state of origin commitments, with game two set to be played on Wednesday. Some sides have been allocated a bye this weekend, with a headache for other coaches who are forced to scrape a side together. After weeks of frustration for Canterbury Bulldogs fans, last Monday we finally saw a glimpse of the 2014 side that roared through the finals series. Structured sets, trick-shot plays and creative backs saw the men from Belmore topple the Dragons by 13 points. It wasn’t all smooth sailing for Des Hasler’s side, after James Graham succumbed to another injury and lasted just 15 minutes on the field. The biggest talking point of the match was the replacement of New South Wales origin halfback Trent Hodkinson, with Josh Reynolds and Moses Mbye inspiring the Dogs with a successful late field goal and converted try. The Gold Coast Titans also come into this match on the back of a winning performance last week, successful against the Wests Tigers at Campbelltown Stadium by 27 points to 20. After a Tigers’ resurgence in the second-half, Neil Henry’s men showed great composure and focus to regain the lead and forced the Tigers out of the contest with a field goal. The Bulldogs are missing halfback Trent Hodkinson, fullback Brett Morris, centre Josh Morris and forwards Josh Jackson and David Klemma. The Titans lose Nate Myles to state of origin commitments, along with Dave Taylor and Kane Elgey. The Gold Coast outfit appear to have an edge over the Bulldogs, winning six of their 11 encounters and the Canterbury team have only been successful once at Cbus Stadium. All the money has come for Canterbury in this match despite the absence of several key players, with all the major markets offering $1.70. Luxbet.com.au and Crownbet.com.au are offering $2.20 for the Titans. 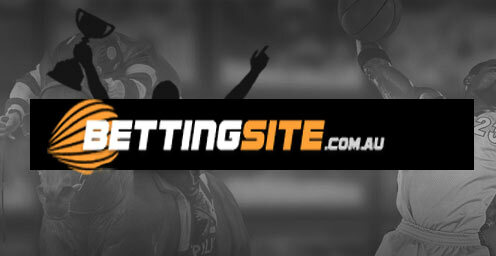 The line is +2.5 to the Gold Coast Titans, with Luxbet.com.au and Crownbet.com.au offering $1.92 for either side. Exotic markets aren’t restricted to these margins, with betting agencies offering odds on every possible result. Crownbet.com.au have margin markets for 1-6 points, 7-12, 13-18 an 19+, with every possibility paying at least $5.75 or better. Although Canterbury are missing a lot of their try-scoring weapons including the Morris’ twins, winger Curtis Rona loves crossing the white line and is the league’s highest try-scorer with 13 for the year thus far. Luxbet.com.au are offering enormous odds of $8.90 for Rona, with the most preferred players from the Titans being Anthony Don and David Mead at $10, also with luxbet.com.au. Sam Perrett (Bulldogs) $11.50 (luxbet.com.au), to score a try $3.00 at crownbet.com.au. A penalty goal to be the first-scoring play for either side is at juicy odds of $13.00 with crownbet.com.au. The half and full time double favours Canterbury leading all the way, paying $2.25, also with crownbet. Punters who believe Canterbury winger Curtis Rona can continue his sensational try-scoring ability can get $12.00 for a Rona first try and Bulldogs to win double at crownbet.com.au. There are enticing odds available on a number of different player and overall result combinations. Sportsbet.com.au are offering $3.75 for the winning team, including the line margin of +2.5 to the Titans or -2.5 to the Canterbury side, plus the total match points. This contest appears to be closer than a lot of people are predicting, with both sides coming off great wins last week. The two-points on offer in this match are crucial as both teams make their way through the gruelling origin period.